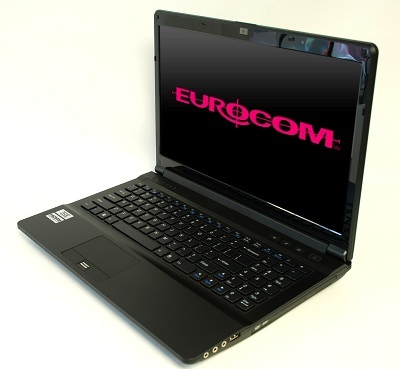 Eurocom Corporation (www.eurocom.com), a developer of long lifespan, fully upgradable notebooks has added yet another layer of upgradeability to Eurocom systems. Eurocom will now offer multiple display options in 15.6” and 17.3” for new Eurocom systems or for existing systems as an upgrade. The addition of display upgradeability provides customers with the perfect display to meet their exacting requirements. “Eurocom is always looking for new ways our customers can customize a system to suit their exact needs. We have noticed for a very long time that one size won't fit all and various users require different levels of optimization, including displays from different glare types, NTSC Colour Gamut rating and Contrast, whether they be for design and engineering work, or gaming’ said Mark Bialic, President of Eurocom. Display options are often overlooked by customers, but can be a major cause for user satisfaction based on specific requirements. The added display options by Eurocom provide engineers, designer’s gamers and business professionals the perfect display to fit their needs. The addition of the Hannstar and Chimei Innolux displays, in addition to the AUO displays, which Eurocom offered in the past, gives customers a larger range of multi vendor displays to choose from. Monitor colour calibration is very important for designers, digital photographers, graphic professionals who require a display to represent images and colours exactly how they are intended to be seen. Eurocom now offers choices in Contrast Ratio, NTSC, Size and Glare type to ensure Eurocom customers have the exact display to represent the content they wish to view. Display size is measured by taking the distance between two diagonally opposite corners and is often measured in inches. Eurocom offers options between Glossy and Matte displays to customers with different requirements. Glossy displays, when used in the correct environments such as dark rooms create darker blacks, brighter whites, and more saturated colours than matte displays. Matte displays on the other hand are ideal for use in bright environments, or rooms with any external light because they feature a light scattering anti glare layer, which reduces glare, yet offers decreased contracts and colour intensity. NTSC Color Gamut is a rating of the percentage of a colour gamut which can be displayed. Therefore a monitor that is rated at 100% NTSC can display all of the colours within the NTSC Colour Gamut. Those looking to use a display for professional design work for example would most likely want something that has a high NTSC rating. Contrast ratio is a measure of a display systems ability to produce the brightest colour to that of the darkest colour. If you take the brightest white and compare the luminosity to that of the darkest colour, you get the contrast ratio. A contrast ratio of 600:1 means the brightest white is 600 times brighter than the darkest black. A high contrast ratio is most desired aspect of any display.